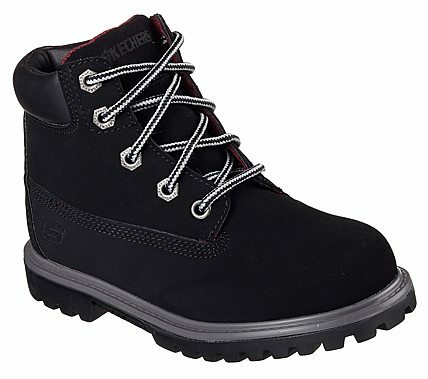 A favorite tough style for little guys gets improved in the SKECHERS Mecca - Mitigate boot. Smooth faux nubuck synthetic upper in a lace up casual ankle boot with stitching and overlay accents. Gel Infused Memory Foam insole.